Born in Paris in 1840, Claude Monet spent his youth in Le Havre where he worked with the painter Boudin. He returned to Paris in 1859 and in 1874 organised the first impressionist exhibition. He painted in many parts of France, Italy, Holland and England. 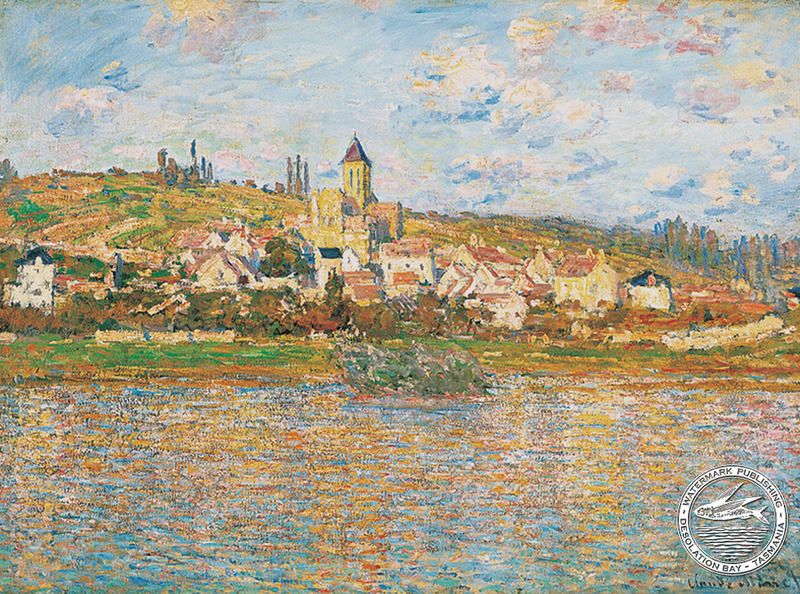 In 1878 Monet moved to Vetheuil from Argenteuil and painted impressions of the town from many different vantage points and in all seasons. ‘View at Vetheuil’ (1878) is a fine example of this period. 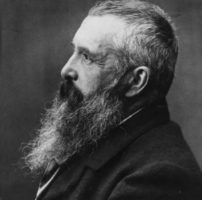 By 1890 he was successful enough to buy a house at Giverny. He married his mistress of 16 years and concentrated on painting the same subject at different times of the day in different lighting conditions, during his last years worked from his gardens at Giverny where he painted his fabulous waterlilies. 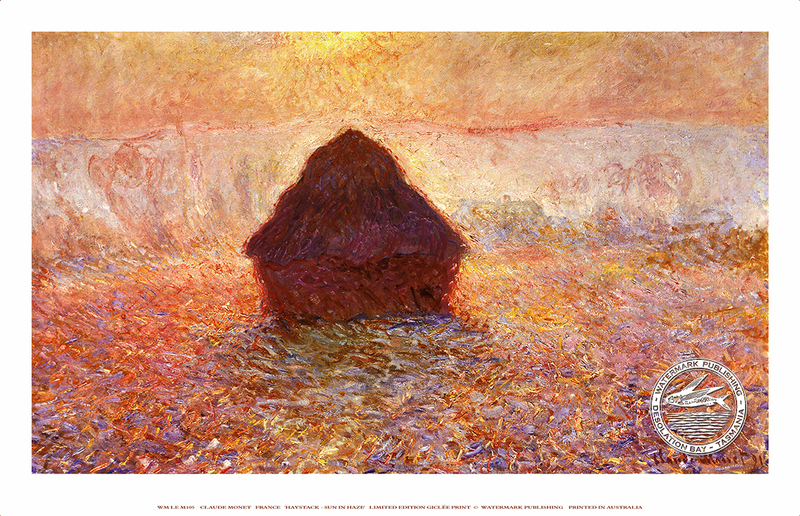 Generally considered the ‘Father of Impressionism’ he was perhaps the most prolific and successful member of the movement he founded and stayed faithful to. ‘I can only claim credit for having painted direct from nature and trying to record my impressions of the most transient effects’.